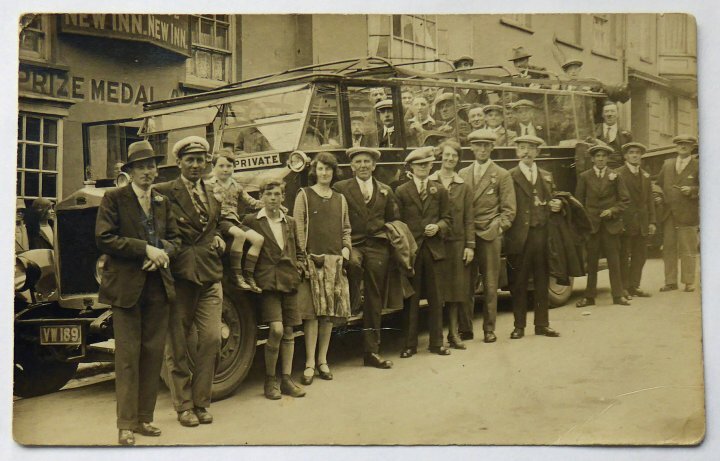 This photograph is of the start of a New Inn Annual Outing in around 1930. In the front row are, left to right, Herbert John Stevens, the driver, Eric Stevens, Ken Perkins, Lilian Mabel Stevens, Fred Williams, Stan Baker, Ada Perkins, Alfred Emmins, Lion Holmes, ? Williams, Fred Ingerson. Standing back right are Arthur Goss and Fred Thorne. Thanks to Eric John ‘Steve’ Stevens, son of Herbet and Lilian Stevens, for giving The Pilton Story this intriguing photograph.